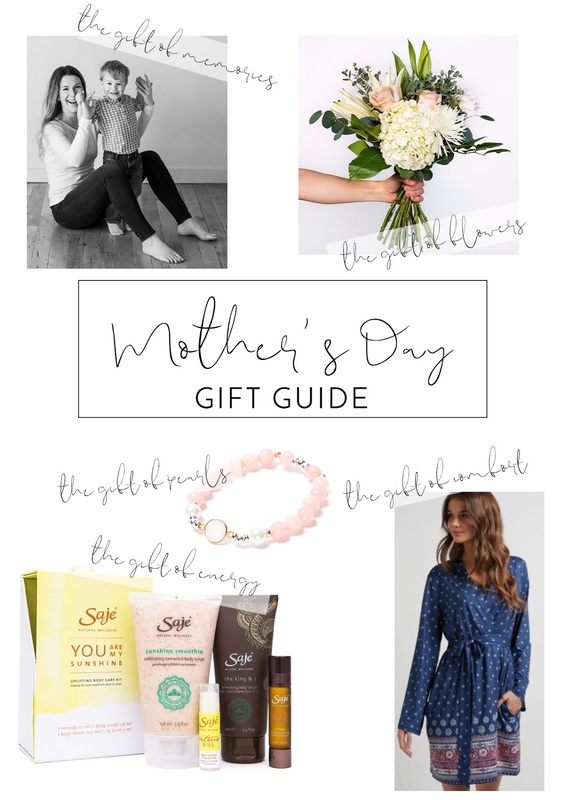 Mother's Day is just around the corner and I have gathered a few of my favorite options to show mamas around you some love - whether they are your mothers, friends, daughters or sisters. The gift of Memories ✨ I am talking about photos of course! I recently did a mini portrait session with Erin Walker here in Edmonton and I couldn't be happier. Erin captured a ton of sweet moments, the photos turned out great and we will cherish them forever. A photoshoot for you and your mom, or your friend and her new baby would be the perfect thoughtful gift. The gift of Flowers ✨ Callia Flowers recently opened in Edmonton (they are also in Vancouver and Winnipeg) and they create the most amazing bouquets. Their flowers are delivered in a gorgeous blue box and last for over a week. You can choose a pretty bouquet for your mom, or better yet, you can get her a flowers subscription! Fresh flowers delivered at her door monthly or weekly, is there anything better? Plus, both 3 bouquets and 6 bouquets subscriptions are on sale right now! The gift of Pearls ✨ I recently discovered Beblue, a jewelry designer from Montreal and I fell in love. Their bracelets are so delicate and beautiful, and they have so many pieces to chose from! You are bound to find something for every woman in your life (including you!). I love this blush pink agate, 14K gold and silver bracelet. The Gift of Energy ✨ It is no secret I love Saje Natural Wellness. I even recommended their beautiful Natural Perfume Collection for Mother's Day last year. So when they came out with a n uplifting body care kit for Mother's Day kit, I had to include it. With a revitalizing body scrub, citrusy lip balm, rejuvenating body lotion and a stimulating essential oils rollerball blend, tired mamas are going to love this one! The Gift of Comfort ✨ I am all about comfort when it comes to clothes. Sometimes to the detriment of looks. So when I find something that is both comfortable and cute, I'm a happy woman. This light yet cozy La Vie en Rose loungewear kimono is made with micro fabric that makes it über soft and comfy, but the print, color & cut are so pretty whoever you gift this to will be tempted to wear it outside. Do you have plans for Mother's Day weekend?